Kenneth C. Hill of Blountville, first appointed a director of the Tennessee Regulatory Authority in 2009, has been named to another six-year term by Senate Speaker Ron Ramsey. Hill, father of state Reps. Mathew Hill and Timothy Hill, House and Senate resolutions confirming the appointment of Hill, is a past chairman of the utility oversight agency. Resolutions confirming Hill’s appointment (SJR693 and HJR758 await approval by the Legislature on Wednesday, expected to be the final day of the 2016 session. This entry was posted in boards and commissions, Legislature, Ron Ramsey, Tennessee Regulatory Authority and tagged legislature, Ron Ramsey, TRA, utilities on April 19, 2016 by Tom Humphrey. NASHVILLE –Tennessee Department of Mental Health and Substance Abuse Services’ Commissioner E. Douglas Varney, by the authority of Governor Bill Haslam, is reconstituting the Governor’s Interagency Council on Homelessness, with the aim of not just reducing but eliminating homelessness among veterans, the chronically homeless, families, and children. This entry was posted in Bill Haslam, boards and commissions and tagged Bill Haslam, boards, homeless, task force on January 11, 2016 by Tom Humphrey. Gov. Bill Haslam has appointed relatives of two prominent Republican political figures — U.S. Rep. John J. Duncan Jr. of Knoxville and former U.S. Attorney David Kustoff of Memphis — to seats on the state Board of Parole. The appointees, listed along with 102 people appointed to 64 different state boards and commissions in a gubernatorial news release last week, are Zane Duncan, a son of the congressman, and Roberta Kustoff, wife of the political activist who headed former President George W. Bush’s Tennessee campaign before being appointed U.S. attorney by Bush. David Kustoff recently said he is considering whether to seek election as Tennessee’s male representative on the Republican National Committee, succeeding the current Tennessee National Committeeman, John Ryder, who must step down later this year because of an RNC term-limits rule. Members of the Parole Board are paid a salary of $95,000 per year to sit in panels and decide whether state prison inmates should be granted parole. The panel’s chairman — currently former state Rep. Richard Montgomery of Sevierville — gets $109,334. Duncan and Kustoff replace two members of the parole board appointed by former Democratic Gov. Phil Bredesen, former state Rep. Ronnie Cole of Dyersburg and Patsy Bruce of Nashville. Haslam also reappointed Tim Gobble, a Republican who formerly served as Bradley County sheriff, to a new six-year term on the board. Gobble was originally appointed to the board by Haslam in 2013 to fill out an unexpired term. Note: The referenced release on Haslam board and commission appointments is posted HERE. This entry was posted in Bill Haslam, boards and commissions, prisons, Uncategorized and tagged Bill Haslam, boards, Parole on January 11, 2016 by Tom Humphrey. 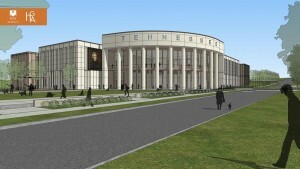 NASHVILLE – Tennessee Gov. Bill Haslam (has) announced the appointments of 102 Tennesseans to 64 boards and commissions. “I am grateful to these men and women for their willingness to serve and for their commitment to our state,” Haslam said. Appointment terms are varied due to differing statutory requirements or term limits determined by specific qualifications. This entry was posted in Bill Haslam, boards and commissions and tagged Bill Haslam, boards, commissions on January 9, 2016 by Tom Humphrey. Senate State and Local Government Committee Chairman Ken Yager says the the state agency that oversees prison labor, Tennessee Rehabilitative Initiative in Correction or TRICOR, needs a new board of directors and a replacement for its CEO, Patricia Weiland. “I don’t have any confidence in her ability to clean up this problem that has been created under her watch,” Yager said Thursday when asked whether Weiland should resign. The comments followed a tongue lashing from Yager and other lawmakers during a Thursday morning legislative hearing. Lawmakers remain upset over the findings of an audit from the Tennessee comptroller. The audit outlined substantial financial mismanagement and mistakes that led to TRICOR operating at a $4 million loss and deciding to end its prison food program. In addition to criticizing Weiland and TRICOR over financial mismanagement, Yager also blasted the longtime CEO for spending $5,000 of TRICOR funds on Nashville-based public relations firm McNeely Pigott & Fox to help prepare her to testify in 2015. “I think to pay a public relations person to coach you up for a hearing is a waste of taxpayers’ money … and frankly when I received this email I was absolutely shocked,” Yager said. Weiland initially declined to comment on the hearing, trying to avoid questions as a spokeswoman attempted to waylay reporters in the corridors at the statehouse. She eventually said she plans to fix the issues at TRICOR, arguing there aren’t a slew of lawmakers questioning her leadership capacity. “I only heard one senator say that. I’m a 36-year public servant; my record is open to the public. 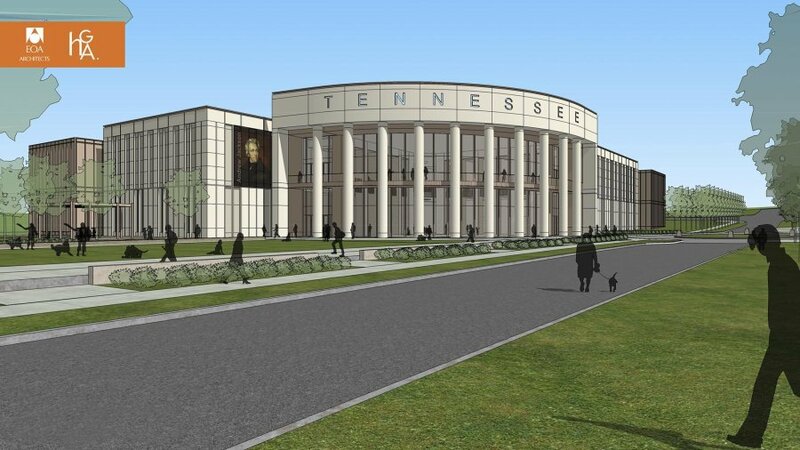 I’ve been a very passionate public servant for the state of Tennessee,” Weiland said. …But Jason Mumpower, chief of staff to Tennessee Comptroller Justin Wilson, argued that money is taxpayer money because most of TRICOR’s clients are state agencies. TRICOR operated what it called the “Tennessee Cook Chill” program for several years, sending millions of meals to Tennessee prisons. Weiland told The Tennessean in December that TRICOR will end the arrangement with the department by June. This entry was posted in boards and commissions, government programs, Legislature, prisons, Uncategorized and tagged boards, contracts, legislature, prisons on January 8, 2016 by Tom Humphrey. Tennessee Board of Regents Chancellor John Morgan today told Gov. Bill Haslam he will resign his post Jan. 31 in protest over the Republican governor’s plan to break up the TBR system of universities and community and technical colleges, reports the Times-Free Press. In his letter today to Haslam and TBR Vice Chair Emily Reynolds, Morgan questioned the workability of the Republican governor’s plans to split the six universities off into their own self-governing orbits and leave the community and technical colleges within the TBR system. “Given the announcement of plans to form separate boards for the six TBR universities, I cannot, in good conscience, continue as Chancellor for another year,” Morgan says. “Simply put,” Morgan said, “I believe the path being proposed is the wrong one for many reasons. However, as an employee of the Board, I will not act contrary to the Board’s stated interests and objectives, and because of my feelings, I would not be in a position to help implement a proposal that, in my view, will do nothing to further TBR’s work to accomplish the State’s goals. Memphis leaders for decades have pushed for the University of Memphis to get its own board. Note II: The Board of Regent press release is HERE. This entry was posted in Bill Haslam, boards and commissions, Higher Education, Uncategorized and tagged Bill Haslam, Board of Regents, higher education on January 7, 2016 by Tom Humphrey.